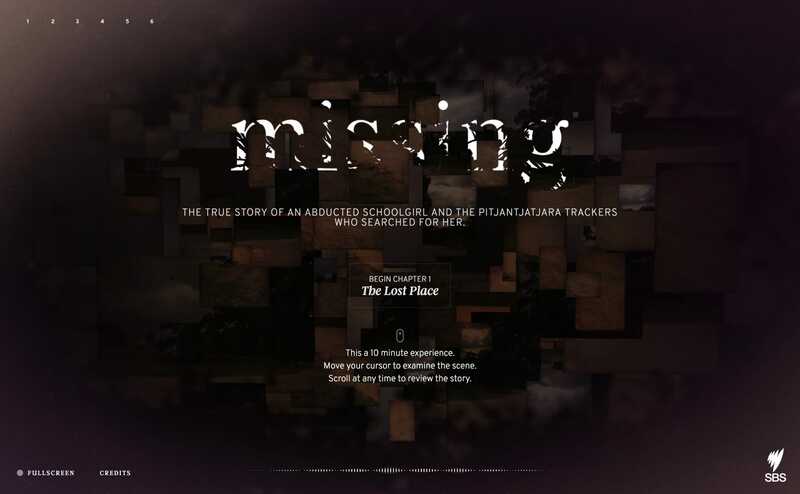 Incredible, captivating One Pager by SBS telling the true crime story of missing 8-year-old Wendy Jane Pfeiffer. The website features an audio narrative, sound effects, dissolving text effects, scene zoom transitions, interactive chapters and even scroll rewinds. Once you’ve finished the documentary head to the credits to truly appreciate the massive amount of effort poured into this website. Phenomenal! SBS acknowledges the traditional owners of the land on which we photographed this story. We would like to thank Ramindjeri Heritage Association and Kaurna Nation Cultural Heritage Association Inc.